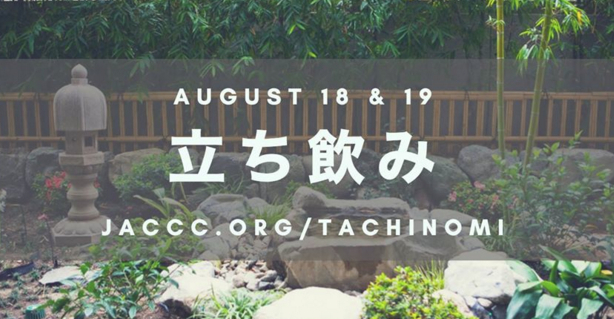 The Japanese American Cultural and Community Center and Wolf & Crane will present the Summer Tachinomi Experience on Saturday and Sunday, Aug. 18-19, at the Suntory Speakeasy in the James Irvine Japanese Garden at the JACCC, 244 S. San Pedro St. in Little Tokyo. Tachinomi are Japanese standing bars. Sessions begin every 30 minutes from 12 to 5 p.m. both days. Escape to Little Tokyo’s summer speakeasy for an intimate moment sipping on a crisp and refreshing highball crafted with Japanese whisky by the expert bartenders of Wolf & Crane. Each session in the Summer Tachinomi Experience accommodates just five guests at a time, making this a truly intimate and unique experience. $10 for JACCC members, $12 general. More info and tickets at http://JACCC.org/tachinomi.